Embryoscope: Time-lapse embryo monitoring system - IVF Czech Republic s.r.o. What is the best way to take care of your embryos whilst they are awaiting embryo transfer? 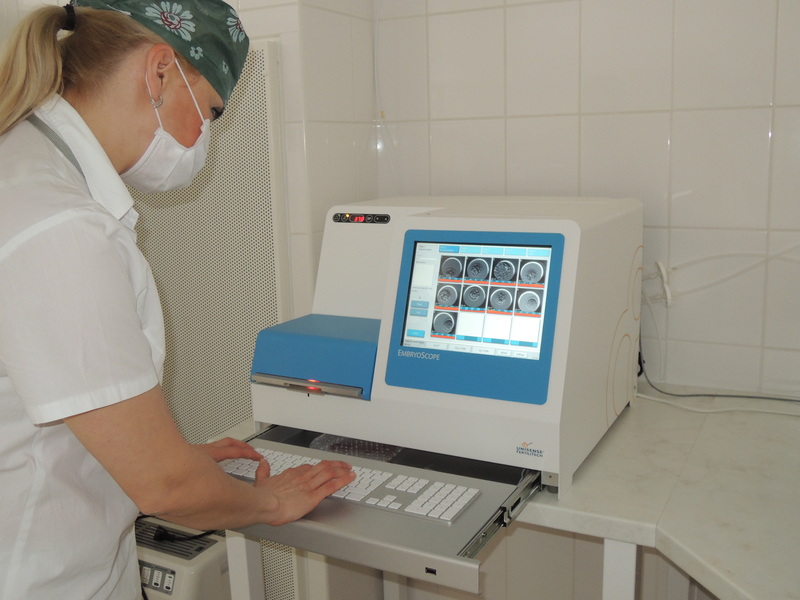 Our clinic offers a modern method of embryo cultivation using innovative device called Embryoscope. The usual process of monitoring your embryos without the Embryoscope involves removing the plastic dishes with growing embryos from an incubator and examining them under a heated microscope. When the embryologist has finished examining the embryos they must be returned to the temperature controlled incubator as quickly as possible to avoid any damage to the embryos. Paying for use of the Embryoscope is an individual choice. When weighing up the pro’s and con’s there seems to be many positive aspects. In the time lapse incubator called Embryoscope, the embryos are placed in individual wells of a special culture dish and a photo of the embryos is taken every 20 mins. The images are automatically stored and made into a continuous data record. Throughout their development embryos remain safe and undisturbed inside the incubator. The fewer disturbances your embryos receive, the more likely they are to develop somewhat as close to they should in their natural environment of the womb. Embryoscope continually monitors the embryos and indicates if they are dividing correctly and within set time frames. The key events in embryonic development should happen at specific time points. Some embryos can develop too fast or too slow, sometimes abnormal division of the cells occurs and abnormalities can form. Time lapse imaging helps in choosing the embryo with the highest implantation potential. There are no known risks associated with monitoring. The facility operates in the same manner as the standard incubator that is always used for the cultivation of embryos. To capture the embryos, the camera uses special optics designed for red light at a safe wavelength 635 nm and for a very short period of time 15ns.